Pools 101 What Should You Look for in a Swimming Pool Cover? What Should You Look for in a Swimming Pool Cover? Your county and state might have certain requirements you have to have to ensure your swimming pool cover meets as an owner of a home. Moreover, if you are part of a Homeowner’s Association, you ought to check with them about any requirements or guidelines they might have. Nothing is worse than believing you have all your bases covered and a well-meaning HOA board member leaving you with a charge and an order after you already have bought the cover equipment. Even if you reside in an area in which winters are pretty mild, it still is an excellent idea to ensure that your cover is able to deal with whatever the wintery weather might toss at it. 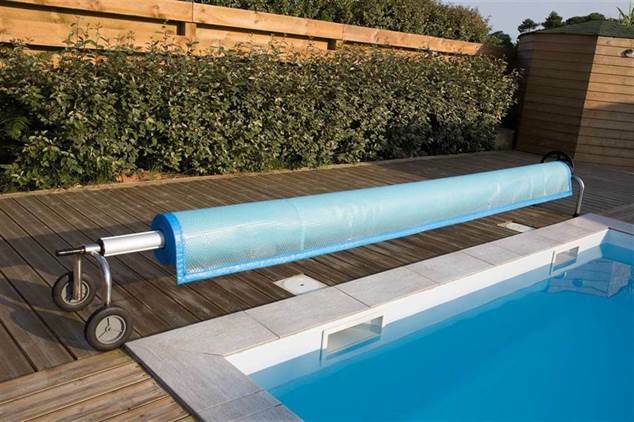 There are mesh covers and hard, stronger covers, and both are able to deal with bad weather, however, if it is more protection you want, we suggest choosing a harder cover – it may be heavier, yet it’s possible to rest assured knowing it isn’t allowing anything into the pool once it is shut for the season, so long as it is correctly secured and installed. Buying the size of swimming pool cover which only covers the pool will not cut it. You want to instead invest in a size somewhat larger than your swimming pool, so there will be overlap from the corner of the pool. That way, there will not be any unforeseen gaps, and as you anchor it down, there will not be any concerns with whether or not it all is protected properly. All of us want to believe the best about the pool cover we wind up buying; however, we always suggest checking on the warranty before you spend your hard-earned cash on what may turn out to be a flimsy cover. An excellent warranty keeps you protected from the things you could not have seen coming, yet it is vital to see how long the warranty lasts, as well as what is covered on it. Once you have read through your warranty, be certain you feel good about the answers to these questions before buying. Are you okay with installing the straps or additional items which are going to keep your pool cover secure all throughout the closed down season? If not, we urge that you consider a different pool cover. Be certain there is enough equipment to correctly anchor the pool’s cover in as many areas as necessary to ensure a lasting and secure cover. The more anchoring material there is, the less pressure is going to be on any one anchor, which makes it more secure year upon year. For more information on our pool liner repair services contact UV Pools today!